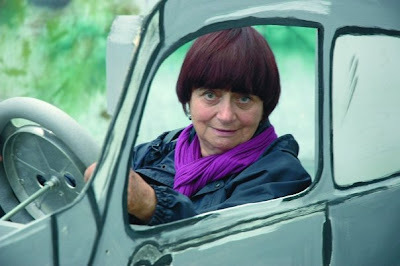 One can't help but have great respect for Agnès Varda. After all, she's a living legend - one of the greats. As one of the members of the French New Wave, she has worked with such luminaries as Jean-Luc Godard (who appeared in her seminal film, Cleo from 5 to 7 in 1962) and Francois Truffaut. Her husband, Jacques Demy, directed the classic French musical The Umbrellas of Cherbourg. Cinema is in her blood, and for a woman of her immense talent and life experience, seeing her direct a film that reflects back on her life in her own words should be a cinephile's dream. However, the resulting film is more of a convoluted mess than a revealing look inside an artist's process. 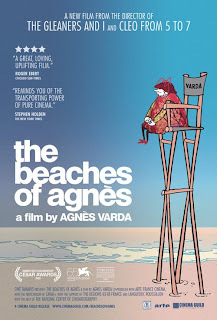 One could always make the argument that a glimpse into the mind of an artist is always going to be a bit of a wild and disarming experience, but in her new film, The Beaches of Agnès, Varda throws everything resembling cinematic form and cohesive structure out the window in favor of aimless navel-gazing. There is always going to be some self indulgence present in a pseudo-documentary about one's own life, especially when said person is an artist of any kind. To her credit, The Beaches of Agnès is very much free of the pretension that made Terrence Davies' Of Time and the City so interminable, but it also lacks that film's inherent beauty. Armed with a consumer grade digital video camera, Varda sets out to create a portrait of her own life through a series of metaphorical set pieces and recollections. Jumping from one thing to another with no real cohesion, we go from fascinating insights about Godard and the French New Wave while working on Cleo from 5 to 7 (where he allowed her to photograph him without his trademark sunglasses), or of directing her dying husband's biopic, to bizarre and off putting scenes of Varda having conversations with an animated cat, or pretending to drive around in a cardboard car. Having just discovered the ease and freedom of DV, it seems as if Varda has discovered cinema for the first time. But instead of feeling like the renaissance of a seasoned master, it feels like a turgid and amateurish student film. 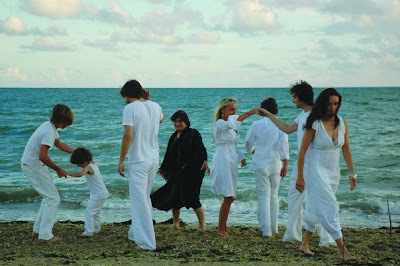 It's easy to see that Varda is having a great time frolicking around on the beach and reflecting upon her life in her own way, but the film itself never translates into any kind of satisfying whole. For a woman of her age (she turned 81 this year) to still be making films with the same kind of energy and verve is a remarkable achievement in and of itself. But her latest film is just too self-indulgent and too scattershot to recommend. It's worth watching for cinephiles and devotees of the Nouvelle Vague, but even then the insights it offers are often lost amid the film's random, rambling musings. Varda directs with the unabashed glee of a child who has found her parents' camcorder, but too often that's exactly what the film feels like. It is a rare and unfortunate misstep in a long and illustrious career. THE BEACHES OF AGNÈS; Directed by Agnès Varda; Not Rated; In French w/English subtitles; Opens tomorrow, 7/1, at the Film Forum in Manhattan.